It's 10:16 in Enumclaw, USA right now. 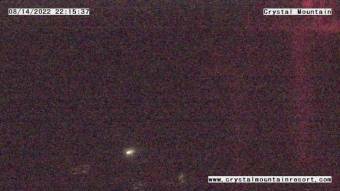 Crystal Mountain Inc A webcam in Enumclaw, Washington - camera location: Crystal Mountain Inc.
Enumclaw, Washington: Crystal Mountain Inc, 0 miles away. Des Moines, Washington: I-5/SR 516 Interchange, 20.7 miles away. North Bend, Washington: Weathercam, 21.7 miles away. Bellevue, Washington: Open Window School, 25.8 miles away. Dupont, Washington: I-5: Pendleton Ave, 30.9 miles away. Redmond, Washington: Overlake School, 32.9 miles away. Seattle, Washington: Space Needle, 33.2 miles away. Seattle, Washington: Shorecrest High School, 33.2 miles away.